I have been able to pinpoint the site of a colliery at 36357215. I have also worked it out from the following quote. 'Folly House (Opencast) 366725. 1¼ miles NW of Chesterfield; ¼ mile NNE Ashgate colliery'. Geology of the Country around Chesterfield, Matlock and Mansfield. Smith, Rhys and Eden. H.M.S.O. 1967. Appendix iii. p 393. 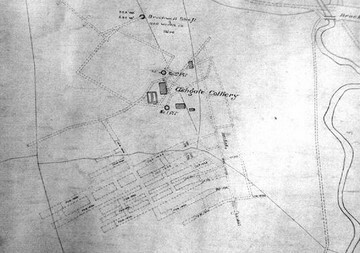 The colliery is shown on the second and third edition Ordnance Survey maps. This was confirmed by the colliery abandonment plans kindly loaned to me by Mr. Jackson of the North Wingfield Local History group. Also, at 365713 clay was mined and turned into blue damp course bricks and the cheaper red bricks from clays mined from above the threequarter seam at the Waspnest Brick Works. (Apparently still working in the 1960's). As above, p.237. Fireclay has been extensively mined in this area from below the Low Tupton coal and also from below the Threequarters seam. Nearby at Newbold Colliery the clays were between one and three feet thick. It would appear that several small collieries have existed in this area the earliest reference to coal is from 1811. However, one might surmise that coal was mined earlier than this because in 1783 David Barnes and company had two furnaces at Ashgate producing pig iron presumably from local ironstone which accompanies the coal seams. The main area mined to the immediate west of Chesterfield (and the Brimington Anticline) is as follows; A triangle from grid ref. 345722 following Linacre Brook, Holme Brook and Brockwell Brook to grid ref. 371715 at Brockwell. Then following the road roughly westwards to grid ref. 347714. From the first edition O.S. Map there are several coal pits and ironstone pits in this area, clay will definitely have been mined here. A sandstone quarry was at 362709. To the rear of St. Thomas's church around 1840. 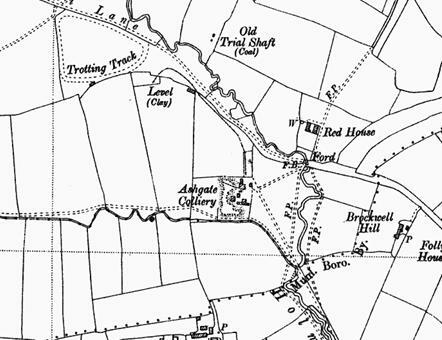 The 1897 map shows Offley Place coal pits in Lady Wood at 334713. From the last quarter of the nineteenth century the collieries became much larger and longer lasting. Prior to this mining was undertaken at the easy outcrop of the seams and it was more practical to sink new shallow shafts into the coal than to maintain the underground roadways. 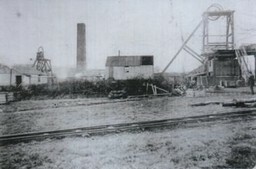 Ashgate Colliery is mentioned as employing 56 men in the 1920's. The coal may well have been worked for the Duke of Devonshire who owned the Hardwick and Chesterfield Colliery Company whose offices were at 68 Saint Helens Street Chesterfield. 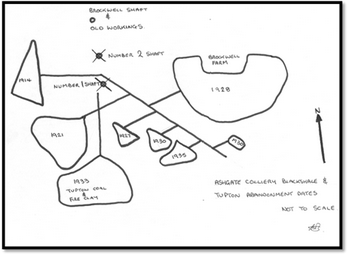 The collieries around Ashgate, Boythorpe and Brampton worked extensively in the Ashgate coal seam, (also called the Brampton thin coal) as the name suggests the origin of the name is from the main area worked. The seam is around 33 feet below the Blackshale seam. Information extracted from the colliery abandonment plans. The colliery had two shafts, the number one at 85 yards deep and number two at 83.36 yards deep, the number two shaft being the more northerly of the two shafts. A little farther north is the Brockwell shaft and old workings which may well have been utilised by the colliery as extra ventilation and a further means of egress. The colliery worked in the blackshale seam for a number of years and plans show abandonment dates for the workings from 1914-1927 and later dates for roadways constructed to the east as late as 1935. Coal Bottom 1' 9 1/2"
The colliery also worked in the Tupton coal and clay with abandonment dates from 1932-1933. The Tupton coal was 2' 7" thick and the fireclay was a further 2' 6" thick. Derbyshire Times, June 16th 1869. Best screened and picked coals 7/- per ton. Best unscreened 6/3 per ton. Derbyshire Times, 5th. February 1876. G. Margerison is honoured with instructions from Messrs. S.Hoskin and Co. to sell by auction at the Ashgate colliery on the 8th. February the whole of the working plant, engine house, offices etc. Comprising of 7 h.p. Portable engine by Davy Bros. Engine bed, drum and gear, useful headgearing, 80 yards of wire rope, weighing machine by Parsons to weigh 4 tons, 16 coal wagons.